TimeTec TA has recently released a new feature to ease the experience in retrieving user data/transaction log by allowing the data to be exported from FingerTec terminal into a USB for transferring into TimeTec TA. Basically, USB function is used when the biometric device is in Offline Mode due to having no Internet connection available and the data has to be manually transferred instead. Before proceeding, users will first need to ensure that the biometric devices are already added into TimeTec TA account (Device > FingerTec Terminal). 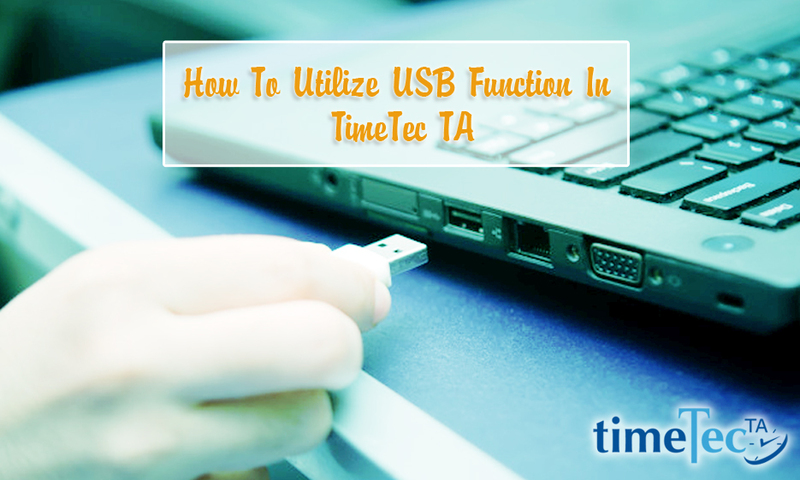 Please refer to the steps below on how to utilize the USB function in TimeTec TA. 1) After downloading the user template from FingerTec terminal, you will receive a file named user.dat as well as template.fp10.1.dat (if there is any fingerprint registered for the user). 2) Next, login to TimeTec TA and go to Device tab > FingerTec Terminal > Manage Terminal > Download Users from USB. 3) Browse your .dat file that has been downloaded from the FingerTec terminal. Please note to also select template.fp10.1 file if you want to export the user’s template into TimeTec TA account. 4) Select user(s) that you wish to upload into TimeTec TA. Here, you may also customize the user’s Issuance Date and Group Duty Roster. 5) Once done, you will receive a message indicating that the user exporting process has been successfully completed. 6) Users will now be available in the TimeTec TA user list (User tab > Manage User). 1) In Device tab > Manage Terminal > Download Transaction Logs from USB. 2) Browse attlog.dat that has been downloaded from FingerTec Terminal. Here, you may select the users to download the transaction logs from. 3) Once done, you will receive a successful message indicating that you have completed downloading the transaction logs from the USB. 4) Lastly, the downloaded transaction logs will thus be available in the Attendance Sheet (Attendance tab > Attendance Sheet) for the selected users. 1) Please be informed that you may also export user lists that are already available in TimeTec TA account into another device. Start by proceeding to Device tab > Export User to USB . 2) Here, you may select which user that you wish to export. Please also indicate the device type: Color Screen or Black & White Screen as well as the data that needs to be exported along with the user (card, fingerprint algorithm). 3) Once complete, you will receive a compressed file for User.data in the Download section as shown in the screenshot below. 4) Extract the file and you will receive the user.dat and template.dat file which can then be uploaded into FingerTec terminal.